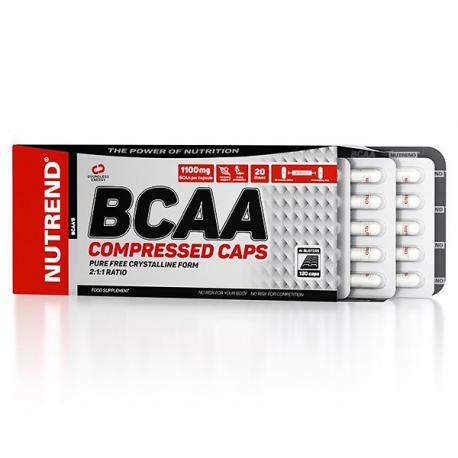 The new Nutrend’s Compressed BCAA formula is an ideal product for all those who train hard and wish for a long lasting and maximum muscle strength and recovery. The new Nutrend’s Compressed BCAA formula comes in an ideal and clinical approved ratio (2:1:1) for maximum absorption. 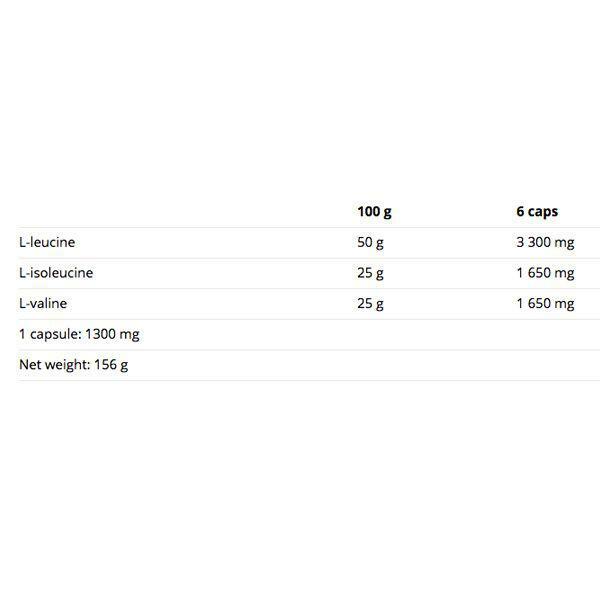 The hardest we train the most of our muscles will be forced to be broken down in order to provide the essential amino acids, like Leucine. Our muscles are designed to provide first of all Leucine, before all the other amino acids (Isoleucine, Valine) that’s why we must support our body with more leucine. Take 3 capsules 30 minutes before the physical activity and 3 capsules immediately after the physical activity. Do not exceed the recommended dosage.